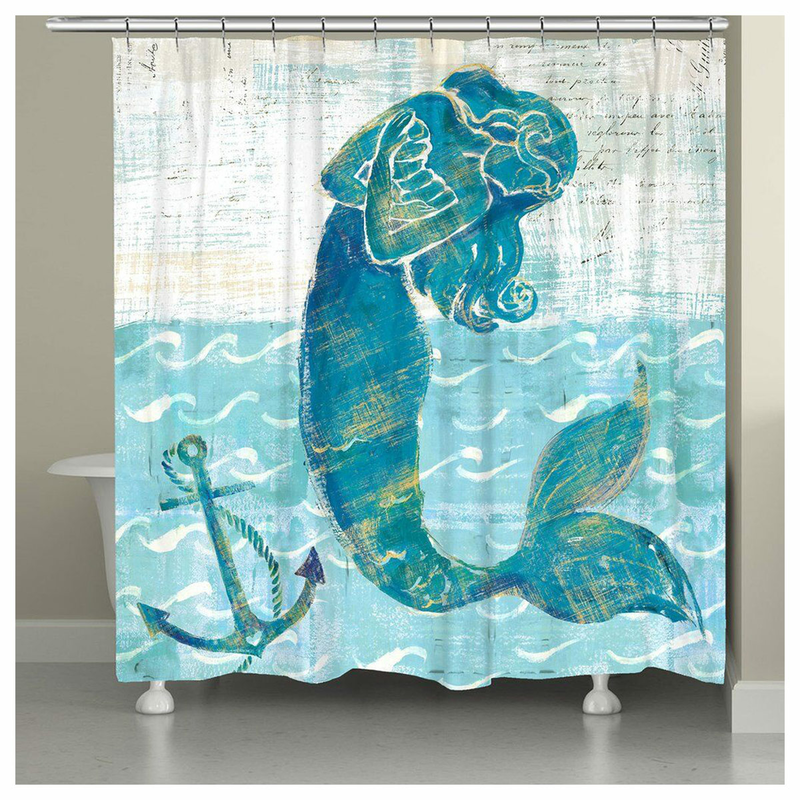 Create effortless style in your aquatic bathroom with the Lone Mermaid Shower Curtain. This beach shower curtain is beautifully made with a mermaid and anchor in shades of teal and green atop an aqua sea and cream horizon. Ships from the manufacturer. Allow 1 to 2 weeks. Cannot express ship. For further items, we ask you to take a moment to browse our thorough selection of beach shower curtains at Bella Coastal Decor today.